The second of Marrugeku’s Burrbgaja Yalirra (Dancing Forwards) Choreographic Labs, launched at Sydney Festival 2017, was held in Broome in January 2018 in the midst of an exciting cyclone season. The goal of the lab, led by Marrugeku’s Associate Choreographer Serge Aimé Coulibaly and Co-Directors Dalisa Pigram and Rachael Swain, was to provide access to some of the choreographic tools and mechanisms used and developed by Serge Aimé and Marrugeku to make work. The Lab also offered an opportunity to share experiences amongst the group of creating dance across their own remote, urban, Indigenous and non-Indigenous contexts. 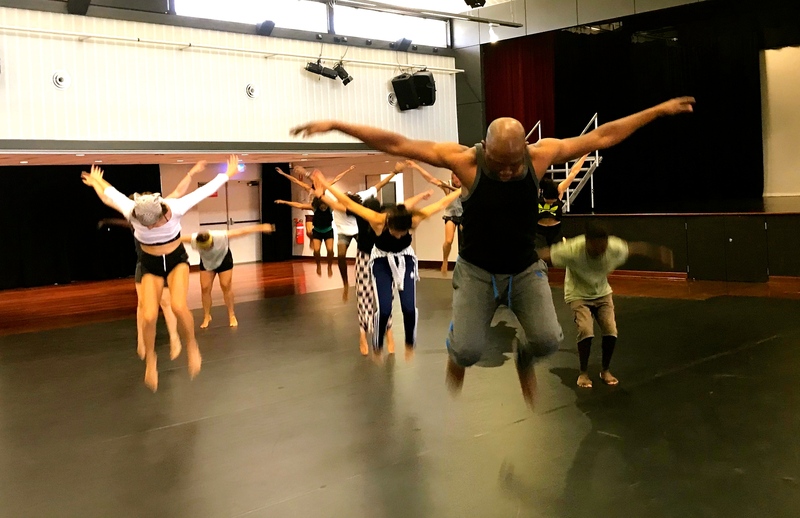 The Burrbgaja Yalirra Labs form part of Marrugeku’s three-year commitment to support emerging and mid-career artists from NSW and WA as ‘change makers’ in contemporary community-connected Intercultural and Indigenous dance. They offer the opportunity for participants to work and share ideas in a generative, challenging and productive environment.